Merry Christmas everyone! Tonight I decided I needed to sample some beers that I'm gave to people for Christmas. This first one is from Wychwood, a solid English brewery that I'm pretty familiar with. Winter Warmer is a badge that has alluded me for a long time. 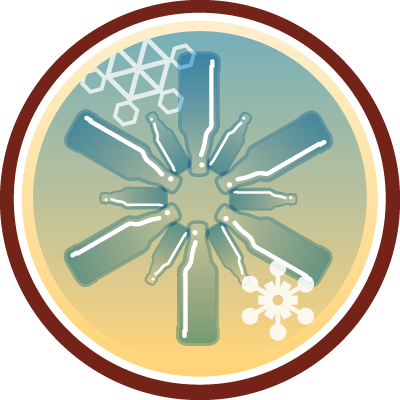 I would have thought this would have come along quicker than this but anyway... To get this badge you have to check-in to 5 beers that either have "Winter" in the name or in the style ie. Winter Warmer. So onto the beer and Bah Humbug pours a deep orange/brown colour with a cream coloured head. The head is large but has a number of big air bubbles in it and dissipates quickly. There's no lacing noticeable and the head dissolves to a ring of foam around the outside of the glass. It's a very standard looking English Ale. 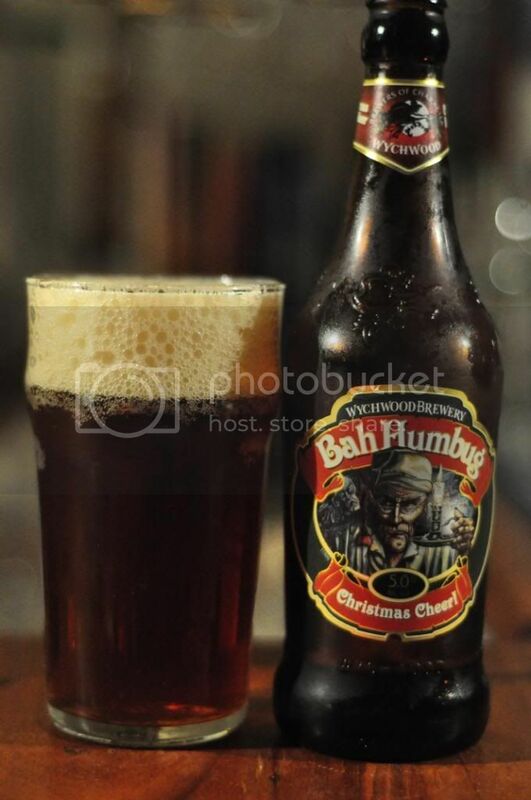 Bah Humbug is a bit too sweet for my liking. The malt base tastes of caramel and is very sweet. Unfortunately it's sweetness is not balanced by alot of hops and there is not enough cinnamon spiciness to distract you either. The body of the beer is of a medium thickness and is quite easy to drink. It's not a bad beer, it's just not excellent either. Look it's not really a Christmas beer in the spiced ale sense that I typically think of, but it's still a really nice ale. It's one of the better beers that I can think of from Wychwood and considering it's a 500ml bottle the price is quite reasonable. This isn't a bad option if you are looking for a beer to give to someone for Christmas and it's available at Dan's, which makes life easier.